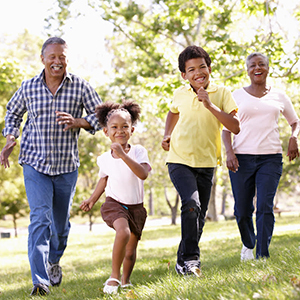 The American Academy of Orthopaedic Surgeons (AAOS) has released a video PSA, as well as other insight and resources for helping promote keeping kids active so that they can build and maintain healthy, strong bones. Some of AAOS’ tips include limiting screen time in lieu of physical activity, participating in healthy activities like bike riding as a family, having your children try out different sports, encouraging active chores like dog walking, and setting goals and challenges for the entire family. To watch the video PSA, click here. To read fitness and nutrition tips and for additional resources, visit OrthoInfo.org/ActiveFamilies.